At least 115 people were killed when suspected militants set off a bomb and opened fire at a mosque in Egypt's restive northern Sinai Friday, state media reported. Eyewitnesses reported ambulances ferrying casualties from the scene to nearby hospitals after the attack on Al Rawdah mosque in Bir al-Abed, west of Arish city. Another 80 people were wounded. President Abdel Fattah al-Sisi convened an emergency security meeting soon after the attack, state television reported. 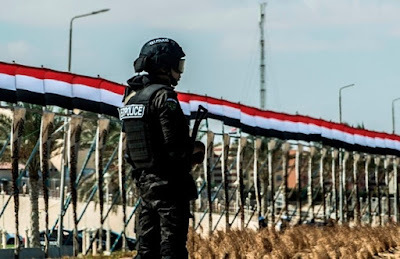 Egypt's security forces are battling an Islamic State insurgency in north Sinai, where militants have killed hundreds of police and soldiers since fighting there intensified over the last three years.